A visit to Israel is easily combined with a visit to neighbouring Jordan, and we are pleased to offer a seamless Israel Jordan service. 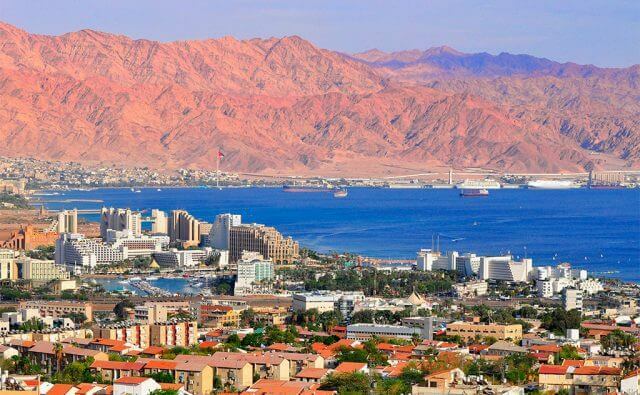 You can cross between Israel and Jordan at one of three crossings: the Arava crossing lies between the Israeli town of Eilat and the Jordanian town of Aquaba, and is the most convenient crossing for those looking to visit Petra. Borders may also be crossed at the Allenby Bridge Crossing close to Jericho, and the Sheik Hussein crossing close to Beth Sh’ean. Please be sure to ask us about visas to Jordan ahead of time as visas must usually be pre-purchased. The magnificent ruins at Petra mark the place where Nabatean kings held court, and consist of a rose coloured city masterfully cut into the desert rock. Highlights include the impressive entrance to the city through the narrow one kilometer Siq, and Petra’s most elaborate ruin, The Treasury. 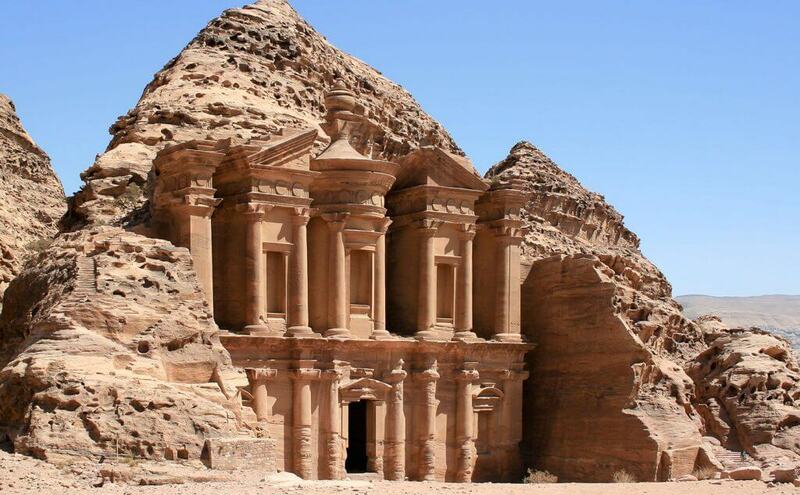 As well as being a treat for history and archaeology lovers, Petra is an outstanding destination for those who love to hike through wild desert scenery and seemingly stumble upon world class ruins. There are several hiking options here, from hour long strolls to multi day options. If you’re celebrating something special while you’re away, or want to make your Petra experience truly memorable, please ask us about private candle lit dinners at the site – we’ve done it ourselves and can tell you it’s spectacular. Wadi Rum is a must visit Jordan destination for lovers of desert and wilderness. The sandy landscape rolls on for as far as the eye can see – this is a place where you will truly feel isolated. If isolated and off the beaten track is what you’re looking for, we will be delighted to include an absolutely authentic Bedouin meal – health warning: not for those looking for the ‘tourist’ or ‘Bedouin style’ experience! Many of the Bedouin of Wadi Rum still live in age old traditional tents which are separated between living quarters for men and women. Men and women also eat separately – as visitors you will most likely be invited to eat on the mens’ side of the tent while the women who have prepared the meal will be separated from you by an inner tent divide. Needless to say there is no air conditioning (and it can be very hot from Spring through Fall), no bathroom, and no cutlery. There are however, goats, chicken, bare foot children and extremely gracious, smiley and welcoming hosts. At Wadi Rum we suggest you also sleep in a tent, though a reconstructed one – the best accommodation in Wadi Rum resembles African safari tents out in the wilderness, and needs to be booked quite some time in advance. Culturally and geographically far from the desert, Amman is the capital city of Jordan and a wonderful mix of old and new. We highly recommend a visit to the Citadel, the Archaeological Museum, the Roman Theatre, the Folklore Museum and the Jordan Museum. You can also take a walk down town through the bazaars and the Gold market. 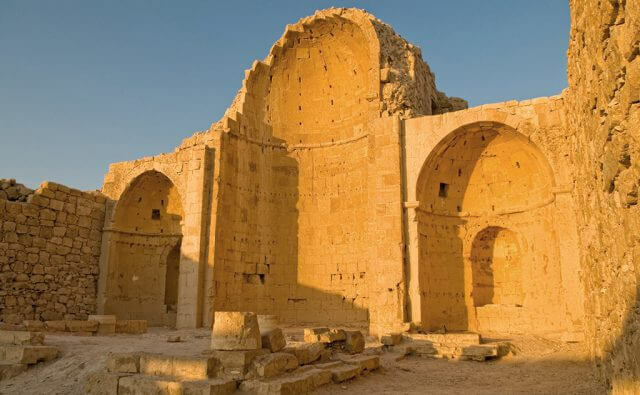 Amman is also perfectly located for a day trip to the ancient city of Jerash which we advise including in a Jordan itinerary should time permit. Jerash is an almost entire Roman city – hugely impressive in terms of its scale and remains. Together with Beth Shean, Jerash was one of the ten decapolis through which the Romans dominated the Middle Eastern landscape. Highlights include two theatres, one with original marble flooring and the other still able to seat 3000 people; two temples (the one to Zeus being the most impressive); a huge fountain; and of course the Roman Cardo itself. Jerash is just an hour away from Amman, and well worth the visit. En route from Amman to Petra (or vice versa), you will find Madaba, located South of Amman. Dubbed “the city of mosaics”, Madaba offers many sites to explore. Among them the chief attraction – in the contemporary Greek Orthodox church of St. George – is a wonderfully vivid, 6th century Byzantine mosaic map showing Jerusalem and other holy sites. With two million pieces of colored stone, and a full 25×25 meters in its original state – most of which can still be seen today – the map depicts hills and valleys, villages and towns, as far away as the Nile Delta. This masterpiece is unrivalled in Jordan, but there are literally dozens of other mosaics from the 5th through the 7th centuries scattered throughout Madaba’s churches and homes. Also en route from the capital to Petra is Mount Nebo, the mountain from which Moses was allowed to see the Holy Land… and not allowed to enter it. Nowadays the mountain is a memorial site. Here you will find the “Church of Moses”, built by the first Christians and displaying a large number of beautiful mosaics. Ever since the first days of Christianity this mountain has been a holy place and a pilgrimage destination. 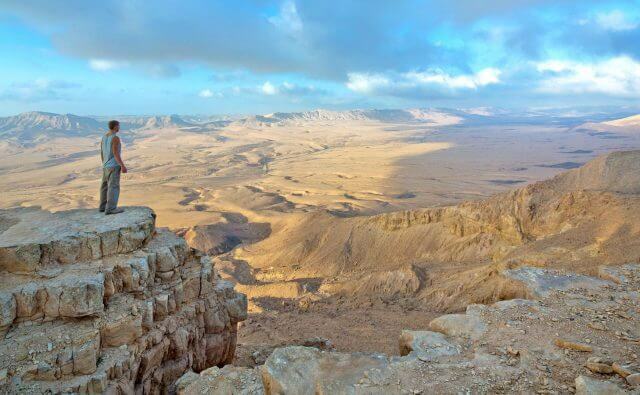 Like Moses, you can have a great view over Jordan, the Dead Sea and Israel. When the weather is clear, you should even be able to see Jerusalem, which is about 60 kilometers away. Quite apart from the sites, you will find the Jordanian people extremely hospitable and keen to share their country with you. Please do ask us about discovering Jordan whether as a stand alone destination, or combined with neighbouring Israel! The trip to Petra was flawless and I thank you.